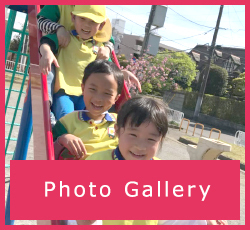 This class is for children who go to elementary school or other kindergartens. We have different level classes which are for begginers and advance children. We do English Conversation, Flash cards, Phonics, Games, Questions&Answers etc. during the lesson time. You can use this class as a cram school for your child. We do not teach Eiken in our lesson time. This class is one of the extracurricular activities held after school. This class is not only for our students, but for student from other schools also. 6 of our past students have passed the Grade 3 of the Eiken Test in practical English Proficiency so far, we started this class 3 years ago. We also have a graduated student who passed the Pre-2 of the Eiken Test within a year after graduation. A lot of students have passed the Grade 4 and 5. We have different level classes for all grades. Class is held 41 times a year.